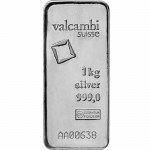 Silver bars are one of the most popular precious metal products available today. 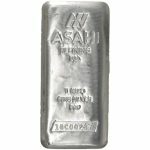 The impressive silver content of today’s leading bars, as well as a number of brilliant designs, make 1 Kilo silver bars a popular choice among both investors and collectors. 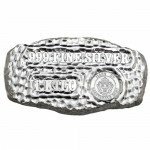 Silver.com is proud to offer 1 Kilo silver bars from a variety of mints and refineries around the globe. Kilogram bars weigh roughly 32.15 troy ounces, occupying the perfect middle ground in the precious metals market. 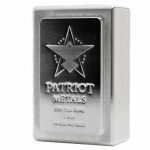 The single most popular weight in silver bars is the 10 oz bar. Though less common, the 50 oz silver bar is also quite popular among precious metal investors and collectors. However, there isn’t much to choose from in between these weights without the 1 Kilo Silver bar. This particular weight offers the easy portability and storage like the 10 oz bar, without being overbearing and heaving like the 100 oz bar. 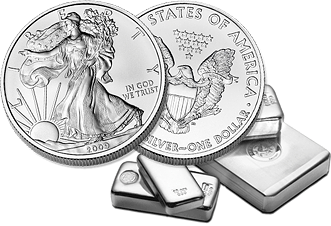 There are a number of mints and refineries around the globe that produce silver bars. Almost all of them produce precious metals in 1 oz weights and the larger 10 oz weights, but not all of them include a 1 Kilo silver bar in their inventory. Among those that do, you’ll find precious metal products from the most well-known mints in operation today. PAMP Suisse is without question a high-profile precious metal refiner. Although the refinery has been in operation for just 40 years, its advanced refining technology and striking designs make its products must-haves for many people around the world. The most popular PAMP Suisse design is that of Fortuna. The Fortuna Silver Bar series features the Roman goddess of Fortune on the primary face of the bar, while the backside of the bar includes the corporate logo, weight, purity, and metal content of the bar, an individual serial number, and the assayer’s mark. 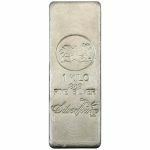 Another popular 1 Kilo silver bar comes from Ohio Precious Metals. Also known as OPM, the refinery was founded in the US state of Ohio in 1974 and produces all of its silver products using silver sourced from within the United States. 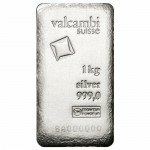 Its 1 Kilo silver bar features a simplistic design, with sharply defined edges and a blank face on the backside. The bar’s primary image includes the OPM logo, corporate name, and the bar’s weight, purity, and metal content. While many 1 Kilo silver bars feature raised engravings, OPM presses the inscriptions into the bar’s surface. Johnson Matthey is one of the oldest refineries in Europe, and is a well-known producer of silver products. 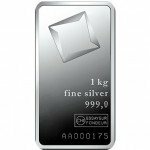 Founded in 1817, Johnson Matthey produces 1 Kilo silver bars that have a remarkably simple, yet popular, design. On the primary face of the bar is the corporate name and the bar’s purity, followed by an engraving of its weight and the individual serial number. The finish on the front is smooth, while the back of the bar features a rough texture and no engravings or markings of any kind. 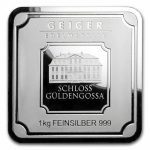 Finally, Germany’s Geiger Edelmetalle offers one of the newest 1 Kilo silver bars on the precious metals market. Its 1 Kilo security line silver bar features a variety of advanced security features that guard against illegal replication. The bars feature the corporate name, metal content (“Feinsilber” in German), purity, and weight (in grams) on the primary face. An engraving of the company’s corporate headquarters at Castle Guldengossa is included in the middle. Around the outer edge of the bar is a reeded finish (common on coins) and an individual serial number. The reverse side of each bar features the corporate logo “LEV” in a repeating pattern and is finished with a UV paint that displays the corporate logo and year of minting when held under a UV light. As discussed, there are a number of 1 Kilo silver bars in production today at various mints and refineries. 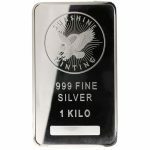 Silver.com proudly stocks all of the bars mentioned above, as well as products from other refineries when supplies permit. Silver.com is dedicated to customer satisfaction. When you purchase a 1 Kilo silver bar from Silver.com, your shipment is packaged and sent out for delivery the same day or on the next business day after cleared payment. All 1 Kilo silver bars are packed into discreet boxes so that the contents within are not discernible to anyone that views the box. We provide insurance, free of charge, on all shipments to protect your investment against loss or damage during shipping. If you have questions about 1 Kilo silver bars at any point in time, we invite you to contact a Silver.com associate. Our staff members can be contacted on the phone at 888-989-7223, using our website’s live chat feature, or via email.